Content marketing best practices: Content is the main part of your blog. If your blog content is not more valuable to your blog readers then you can not able to drive more traffic to blog daily. And, it is not all to write content on blog and sit back for getting people to read your content. Besides of creating high quality content and making SEO friendly you also need to promote your content around the web. Because, a lot of blog and content are publishing daily and it is some hard to compete with them if you do not know how to do! So, simply you need to follow Content marketing best practices for promoting your blog online and for getting more blog readers daily. How to promote content effectively? Yes, you need to understand your audience and think about yourself where your audience stay more online. If you able to find the source where your audience hang up all time for searching information, then you can get more traffic coming to your site by promoting content effectively! In this article i am going to show you some effective Content marketing best practices which you can implement for increasing website traffic fast! By only following these content marketing strategies will not give you results. You need to implement correctly and keep experiment which works best for you! 10 Content marketing best practices for your blog. When you write article for your blog then try to make your article headline more attractive. Off-course, besides of making article title SEO optimized you also need to make title more clickable. Because, research has shown that most of readers look first at the headline of a post! They look through article title first and try to get idea about that article. So, how to make an Article title more Catchy? Yes, to make article title more catchy and more clickable you need to follow some headline hacks! Following headline template and implementing it on your article you can get Superb results! For better content marketing it is a good strategy to reach out your audience and share your content. By this way you can get more exposure of your content. So, how do you find them? If you write a content about blogging tips, then it will be good to connect with bloggers and share your content. And you can also join all blogging communities and share your content with community members. Besides of that you can use search engine to find more niche related online groups, communities, forums and so on! Yes, you should not neglect this source! Sulia.com can be a good source to promote your content online. Use Sulia and it allows to share your content with interest based person. To share your content on Sulia you need to create an account. After creating account then select your niche related category to promote your content. For example, if your content is about “make money online” then write a headline or a post snippet and share your content link telling people to find more about your content by following this link! Anyone interested with “make money online” will get alert and read your content what you shared on Sulia.com! Find the best use of Sulia and you can able to promote your content online more effectively! Promoting your content on Tumbler.com you can get more online exposure for your content. What you need is to build up your own tumbler blog. Use SNAP plugin and syndicate your blog content. Using Tumbler can get you more benefits because it ranks well on the SERPs. Do not miss out this good opportunity because Tumbler.com has over 90 million and it make sense you can get good results. To know more about promoting content on Tumbler you can see this this video from LazyAssStoner. Info-graphics go viral fast and by this way you will able to attract more readers and it will last for long time. Yes, promoting content on twitter is also a best content marketing practice to promote your content online. Twitter has million of users and it is increasing day by day. You should not avoid this best traffic source. For better twitter marketing strategy you need to follow some of your top niches blog or person. You can also use your own twitter account for content marketing. You need to build huge follower based account. Always try provide valuable information to your audience. And following top person on your blog niche is a good strategy to get good response by witter marketing. Because you know that they have more followers and if they re-tweet one of your content then it can help you to reach out more readers easily. You know that Reddit.com is the front page of Google! If one of your content get top position on the front page of Reddit then there is a huge chance to get more readers to your blog! By promoting your content on Reddit can help you to go your content viral. It can be a good source to reach more audience by using Reddit marketing correctly. I notice that many people say they do not get good results in Reddit marketing. No! You will not get result if you try to play smart! Submitting your link blindly on Reddit will ban you. So, for better content marketing you need to choose only niche related sub-Reddit. It is a good idea to select niche specific sub-Reddit and submit your link. You need to earn Karma for getting more value. So, create high quality content with catchy headline and submit link on correct sub-Reddit to get good results on content marketing effectively! You already know the power of Facebook. Yes, Facebook can be a great place to promote your content effectively. You can promote content by Facebook marketing. Creating your own Facebook page you can also promote your blog content. Search for niche related Facebook groups and join some of active Facebook groups. And after getting approval by group admin try to make good relation with them. Because, if you post your content on Facebook groups without adding more value you will not get good results. That’s the main reason why most marketer shout they not get good results. Being active on Facebook groups and providing more value on groups will help you to build trust to others. And by engaging them with valuable content you can share your content on groups and see the results! So, select some most active nice related Facebook groups and promote your blog content effectively. 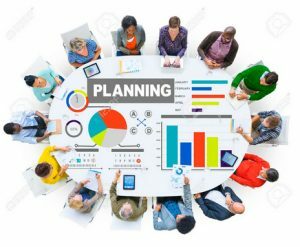 Here is an Excellent article you can read for getting Huge Facebook groups list and more Tricks too! Email marketing is also a best practice in 2018 for content marketing to promote your content online. Email your blog subscriber with your content and tell then that you have bring something new for them! When they will show your mail in their inbox they will definitely visit your blog to know more if you prove valuable content! If you are not building your own email list then you are missing out great opportunity on your online business. Because, by email marketing it will not help you to promote content but also help you to get returning traffic. If you are serious about content marketing than start to collect email from your blog readers. You can use so many plugin and install on your blog which can help you to collect email from your blog readers. Ask readers to subscribe to your blog to get new updates directly to their mail inbox! You can follow some strategy to collect email from readers like offering then something valuable and tell them to get it by subscribing your blog! There are so many email marketing tips you can follow. I will write on my blog about email marketing tips soon! Re purposing content into PDF is also a best content marketing tips! Re purposing means presenting your content in different ways like- turning content into E-book, creating video, making power point presentation, making podcast etc. So, create a PDF version of your best performing content which you want to promote online. To make your article into PDF you can use lot’s of online sites or you can use a Google chrome extension. Well, After re purposing some of your best content in to PDF then you need to submit into PDF directory. Here are some of directories below you can use for submitting your PDF version content. There are so many content marketing tips available i will try to write on my blog if you love this one. Always remember that, creating only content will not help you to give best results to get more traffic to your blog. Besides of creating high quality content you need to promote content in different ways by following best content marketing practices! Again, you will not reach your goal by only following but you need to implement your work correctly! Hope you got some good ideas about content marketing and also loved some best content marketing tips from my article! Will you please share some of your best content marketing strategy with us? Which best content marketing practices you are following in 2018 for your blog? Such a great information for blogger i am a professional blogger thanks for your useful article, Minhaj SIR. Hey Minhaj! I really like your thought on advertising on Reddit for high traffic zero profit marketing! any thoughts on this similar method of reducing cost/time while increasing profit/traffic? Hello Minhaj, Your Article is impressive and very informative.Thanks for Information. Hey there, You’ve done a fantastic job. I’ll definitely digg into it and for my part recommend to my friends. I’m sure they’ll be benefited from this site. it helps in content marketing. 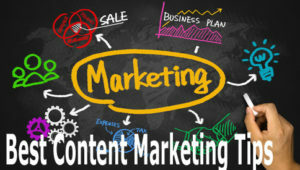 This article consists the best info regarding content marketing practices. I felt very bad why am not got this article up to now. This article will help me a lot. Thank you for sharing this article. Hi Minhaj, great job and keep sharing such kind of mind blowing articles! These 10 tips are very helpful for content marketing. I will surely use this tips for promoting our content! There’s a lot of folks that I thank would really enjoy your content. In order to view and print worksheets from this web-site you will want Adobe Reader version 6 or later. Probably these are the best ways to promoting or marketing of our best contents. Thanks for sharing it. Awesome article. Ton of links I have not seen before. and here i found this helpful and informative guide for content marketing. and you are right brother after writing a article we must also care about marketing of that content . Firstly you are very warm welcome to my blog! And, thanks a lot for dropping a sweet comment in this post. Would love to see you often in my blog! Firstly thanks a lot for adding more value in this article! Yes, you are right! We should spend more times on content promotion. We need to spend 80% time on content marketing and 20% time on content creation. 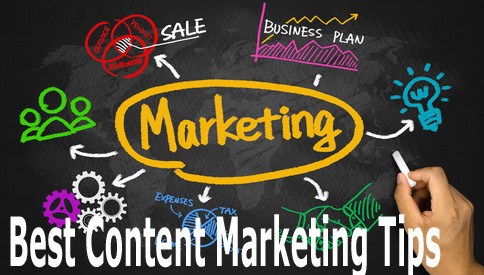 And, it is advisable to follow best content marketing practices while promoting content online. Anyway, thanks again and would love to see your again on my blog! Content promotion is really very important when it comes to blogging and internet marketing as a whole and i think its something that we should always accord more of our time. Its advisable to always spend more time promoting your articles than you spent writing them because a well written article without readers is really a total waste of time and effort. Great article. I personally use only a few methods to promote my content. I publish the article and then I post it on the Facebook page, a few relevant Facebook groups, set up a Twitter tweet on Justretweet and post it on blogging communities like Bizsugar and BlogEngage. That’s good approach! You can implement some of these best content marketing practice for getting more benefits on online content marketing. Anyway, thanks for dropping your valuable comment. Good collection here Minhaj. Never heard of Sulia.com, I will implement these practices. I like the approach. Yes, for better online exposure we need to follow best content marketing practices. If we implement correctly then we can get good results. Anyway, thanks for dropping your comment.